In 2014, Skillshare opened its platform to allow anyone to teach a class on any topic they’re passionate about. Today, we have over 6,000 teachers and 20,000 classes. We are continually blown away by the amazing teachers who bring their knowledge and expertise to our community every day. We often hear from students that certain classes on Skillshare have changed their lives - empowering them to start new careers, launch their own businesses, and make an impact on the world. To make it easier for our community to discover some of the most exceptional content on Skillshare, we are excited to launch a new distinction for classes called “Staff Picks.” Classes will be selected as Staff Picks by our curation team and will receive a badge on the top left corner of the class thumbnail wherever the class appears on Skillshare. Learn more about how Staff Picks will be selected here. In addition, we will begin featuring a “Skillshare Originals” icon on all classes produced by Skillshare’s in-house content team. In support of our mission to increase access to a variety of teachers and topics on Skillshare, we are proud to partner with world-renowned creators, influencers, and industry leaders, creating unique and innovative classes for the Skillshare community. 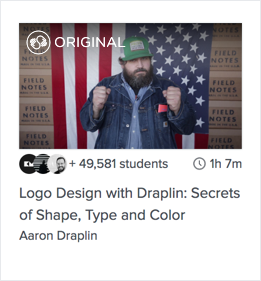 We’ll be launching the Staff Picks and Skillshare Original badges in phases over the next few weeks. Some members will start to see them appear on classes as early as Monday, June 18th, and we will roll them out to all members throughout July. We hope you'll check out these classes to discover content that demystifies important topics, shares new ways of approaching problems, and guides and inspires you towards action!